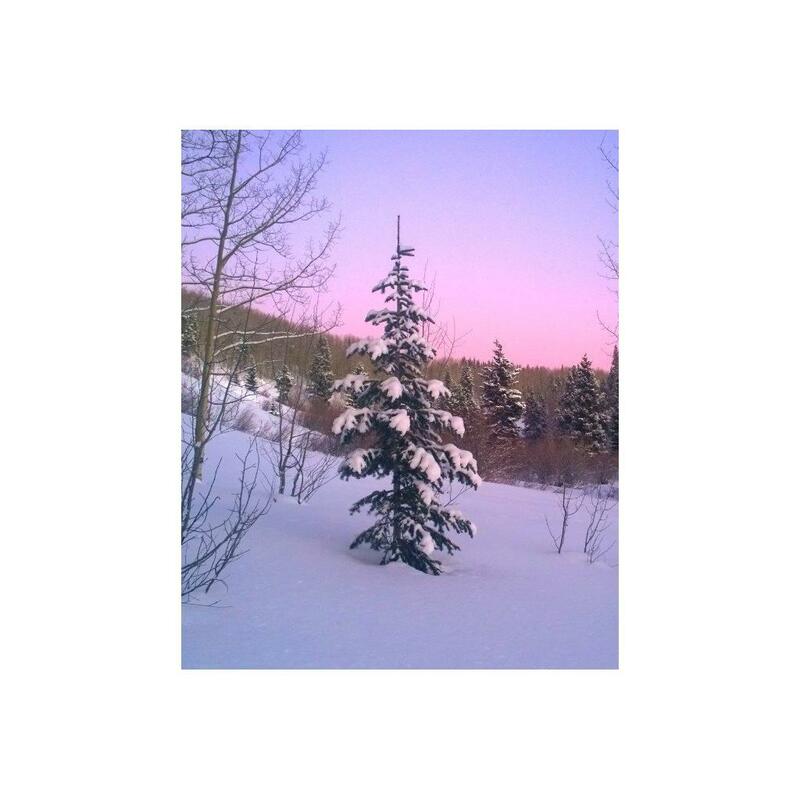 The Data Collection Initiative (DCI) is a multi-year program undertaken by WCU students to collect unbiased winter recreation data in the Gunnison National Forest. The program is supervised by Professor Melanie Armstrong. Collecting unbiased data is an important first step to enable the community, user groups and land managers to make informed decisions concerning winter travel management. A pilot program was completed by MEM student, Brian Lieberman, in winter 2016-17 with data collected in the Slate River drainage. He also conducted an online survey that had 313 participants. The winter 2017/2018 effort was led by WCU graduate student Douglas Shaw. 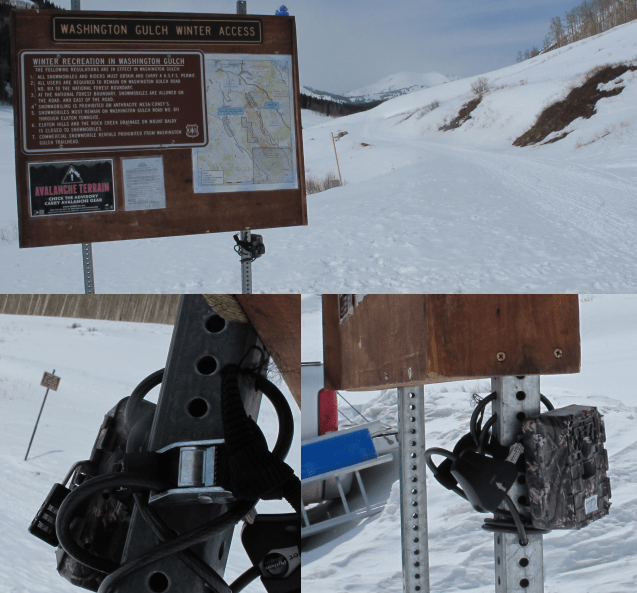 Infrared detector cameras were utilized to collect recreational usage data at each of six trailheads: Kebler Pass, Slate River, Washington Gulch, Gothic Corridor and Brush Creek (two sites: Brush Creek Trailhead and Brush Creek Road). On site observations were also conducted to verify the data. The observational periods varied by trailhead. The total number of users recorded was 24,413 recreationists. 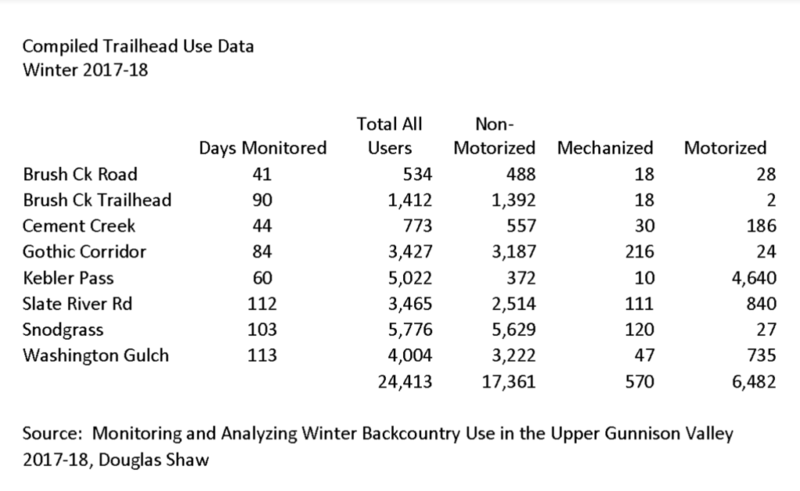 Approximately 71% of the users from all trailheads were “non-motorized”. See Table, “Compiled Trailhead Use Data” below. The Winter 2018/2019 effort will be led by WCU MEM graduate student, Kendall Cox. Her thesis emphasis will include data collection and in-depth data analysis utilizing multiple years of data. Funding for the current year’s DCI is ongoing. A total of $9,000 has been raised for the DCI to date. Funding for the DCI has been provided by $2,500 grants from Town of Crested Butte (2018), the Community Foundation of the Gunnison Valley (2017) plus $4,000 in matching funds and contributions provided by Silent Tracks, individuals, and other organizations. Please Donate for Data and help the DCI continue to collect valuable winter use data. All Donate for Data contributions are tax-deductible and will be designated exclusively to fund the DCI! Thanks for your support!